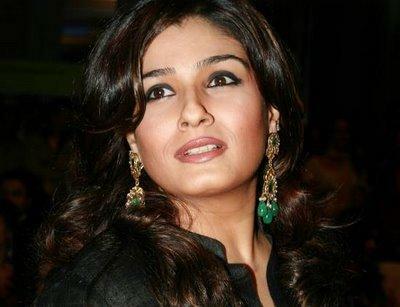 Raveena Tandon born on October 26, 1974 in Mumbai, Maharashtra, India. She is a National Film Award winning Indian actress, producer, and a former model. She made her acting debut with Patthar Ke Phool (1991), and won a Filmfare Lux New Face Award for her performance in the film. Her latest appearance is in Hindi Bollywood film Bbuddah... Hoga Terra Baap where she is performing along with Amitabh Bachchan, Charmy Kaur, Hema Malini, Minissha Lamba, Sonal Chauhan, Neha Sharma, Mahie Gill.